Home › Just life › What does “happily ever after” mean? What does “happily ever after” mean? “And they lived happily ever after.” Most languages, I assume, have a similar, codified ending for the stories we call fairy tales. Pressed for what the expression “really means,” I suppose for most of my life I would have said that our heroes live the rest of their lives in peaceful, prosperous kingdoms. No enemies, witches, ogres, evil stepmothers or bad spells beset them. They enjoy perfect health and produce whatever number of children is their ideal, of preferred sexes. All progeny are equally healthy, wise, beautiful and fortunate, appropriately employed and/or wed, doing their loving parents proud. In sunset years, our heroes move serenely toward their well-earned final rest, as much in love as the day they met. In other words, living “happily ever after” is the result of happy things which keep happening, an ideal string of chance events over which one has minimal control. Could the meaning be otherwise? An encounter with a young man selling night crawlers made me think otherwise. We were on our way to Laurel Lake, near Sweetwater, Tenn., for the weekend. Maurizio thought he’d do some fishing for which he needed bait. (A look at his personal history would suggest that buying/not buying bait or even fishing/not fishing produces equal amounts of caught fish, i.e. near zero, but I digress.) Back to our bait seller. He had a frank, open face and a cheerful, engaging manner, as if our appearance in his store that morning could only be the beginning of yet another wonderful day. Yes, he had night crawlers. Here they are! His mode of being was, in a word, “happy.” He seemed to be living happily. 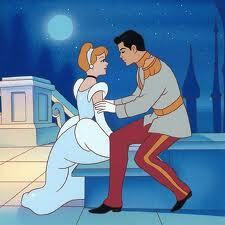 Could it be that Cinderella and her prince live, literally, “happily ever after”? That’s how they did things. That’s how they acted, no matter what happened to happen to them — for ever after. My feeling is that you live your life happily while you are aliive, there is no after –it’s over.